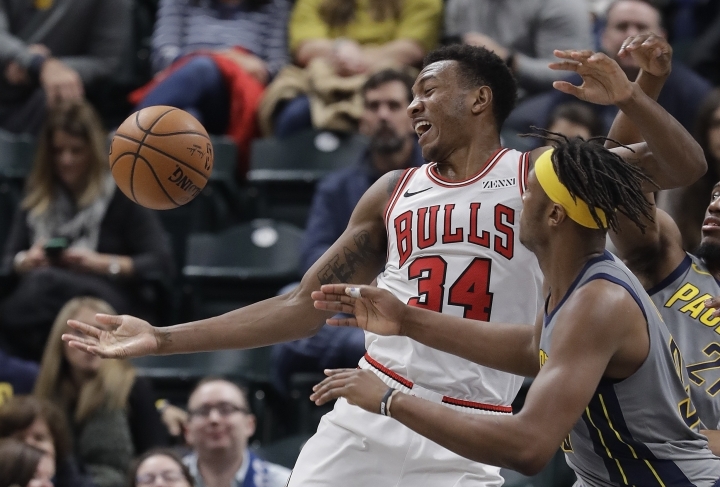 INDIANAPOLIS — Myles Turner matched his season high with 18 points and added 11 rebounds and five blocked shots as the Indiana Pacers defeated Chicago 96-90 on Tuesday night and spoiled the debut of new Bulls coach Jim Boylen. Darren Collison had 23 points and eight rebounds, Bojan Bogdanovic scored 14 points and Tyreke Evans finished with 10 for Indiana. Domantis Sabonis added nine points and 11 rebounds off the bench for the Pacers. 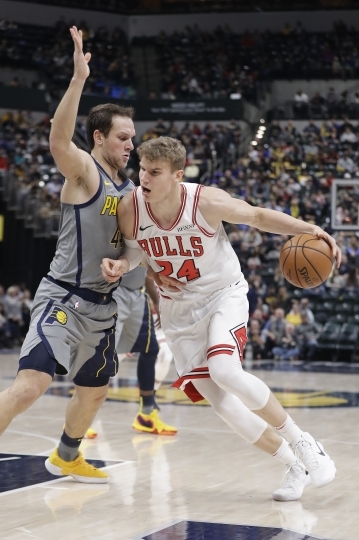 Lauri Markkanen led the Bulls with 21 points and 10 rebounds. 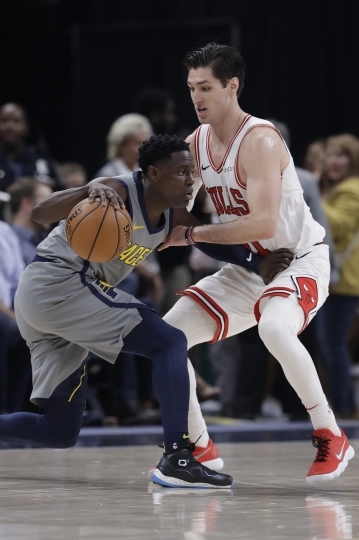 Justin Holiday, facing off against his brother, Indiana rookie Aaron Holiday, finished with 15 points. Chicago has lost seven straight games. 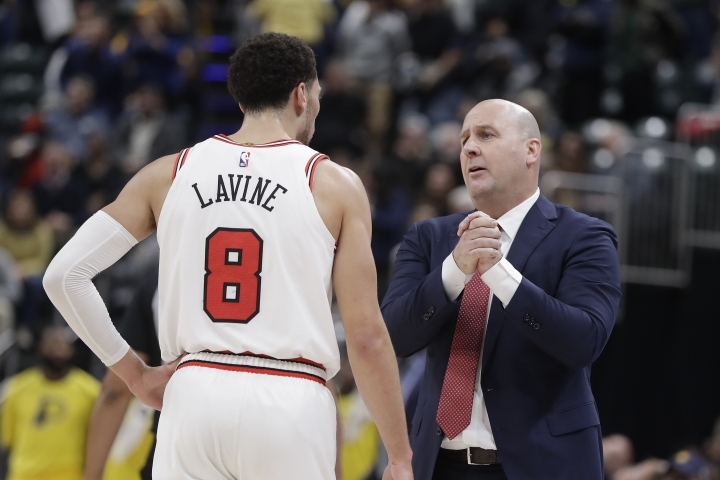 Boylan was named Bulls coach on Monday, taking over for the fired Fred Hoiberg, who was let go following a 5-19 start this season. Hoiberg had a 115-155 mark with one playoff appearance in three-plus seasons. 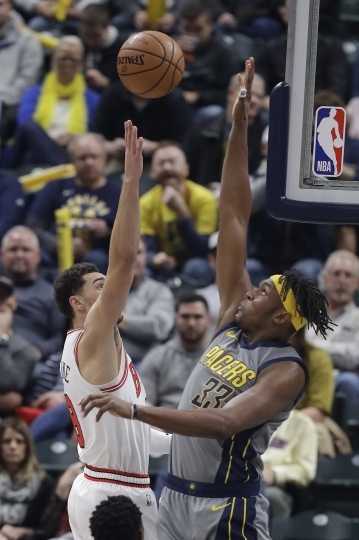 The Pacers relied heavily on their five starters to carry the load as All-Star guard Victor Oladipo missed his eighth straight game with a sore right knee. Four of Indiana's five starters scored in double figures, combining for 71 of the Pacers' 96 points. The teams got off to a sluggish start. Indiana held the slight advantage early, jumping ahead by as many as nine points during the first half. 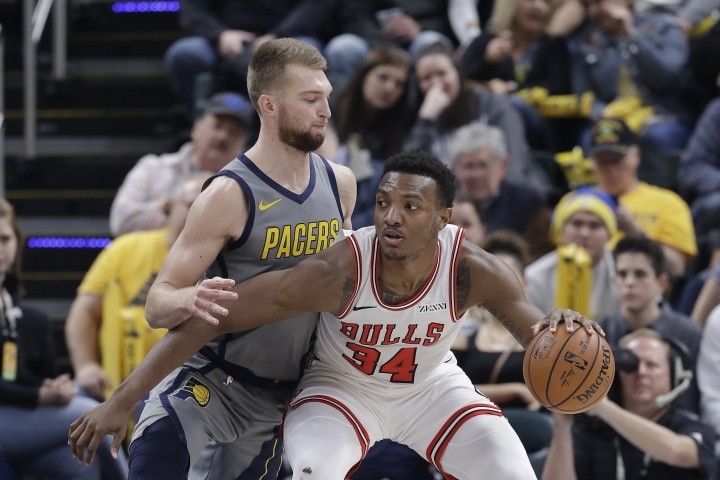 But the Pacers trailed the Bulls 45-43 at halftime despite the early lead and Chicago shooting just 40 percent from the floor over the first two quarters. The Pacers closed out the third quarter on a 9-4 run for a 70-67 lead. Chicago never recovered from the deficit, although the Bulls stayed within single digits during the final 12 minutes. 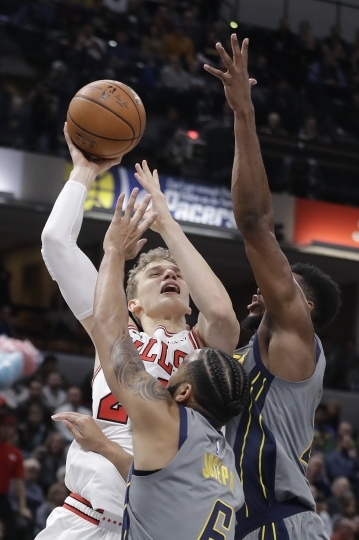 The Bulls weren't able to get any closer than three points during the final 1:45. 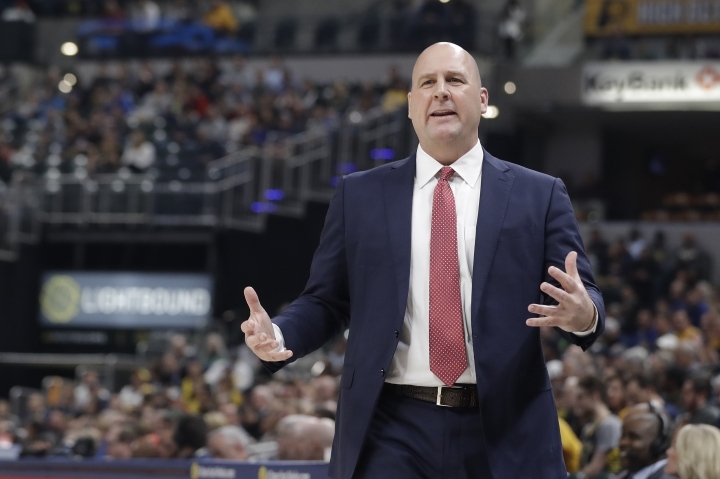 Bulls: New Bulls coach Jim Boylen spent two seasons as an assistant with the Pacers from 2011-13. ... Chicago is 2-11 in its last 13 games. ... The Bulls are 1-6 against Central Division foes. Pacers: Victor Oladipo remains inactive for Indiana while nursing a sore right knee. The Pacers' All-Star missed his eighth straight game. The Pacers are 4-4 during that stretch. ... Indiana is now 5-1 at home against Eastern Conference foes. ... The Pacers were allowing a league-low 102.7 points per game entering Tuesday night's contest. ... Myles Turner has recorded a double-double in three of his last five games. Bulls: Host the Oklahoma City Thunder on Friday. Pacers: At Orlando to face the Magic on Friday.